Starting from the first microwave network planning phase, the detailed microwave network design has to be completed. Before any site acquisition, microwave network design, RF design, and interference analysis are done simultaneously. In most cases, the network planning and optimization are mutually dependent. That means that none of these activities can be done without MW engineering with and input from the other three. It also means that a project manager has to make sure that these groups of experts talk to each other on a daily basis, which can sometimes present a challenge. mp-Lab Solution Suite MW Module leads operators to optimize your MW network SDH or PDH, the best position of Nodal Site or repeaters of any existing of any new network in the phase of the rollout. A real backhaul solution to design point to point & point to multipoint network. Integrate a multi-layer & multi-resolution GIS (DEM, land morphology, Orthoimage, vector, …). A complete Library Management to mange, create and integrate Equipment, Antennas and feeder. Interference Threshold and Degradation analysis. Link availability and error performance dynamic analysis. Determine the best location for repeaters and concentration nodes. Standalone or multi-user platform relying on a unique Database. 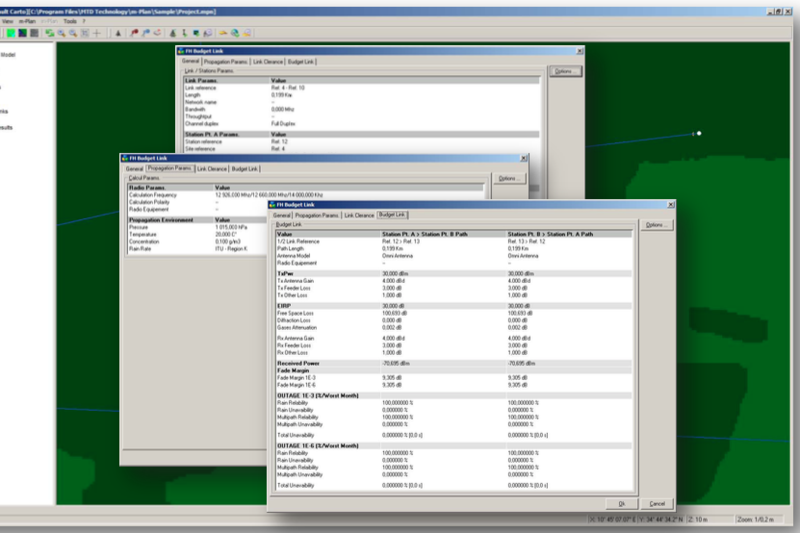 External Database with Data manager connection for network version. TS2I International Limited offer various courses with a maximum level of focus on your team needs while minimizing the travel time for your staff and transmission department. Aligned with your request, we provide basic and advanced training courses to ensure your training objectives on site.